There are a lot of processed food in the market today, and what most people enjoy about them is the fact that they are cheap, easy to obtain and take a small amount of time and effort to prepare. However, it is important to know that though convenient, processed foods are not what you should be consuming all the time because they are not ‘doing your health any favours’. Jumia Food, Nigeria’s No. 1 online food ordering app, shares 4 things you probably didn’t know about processed food. Due to the high concentration of fat, sugar and/or salt in some of these processed foods, dopamine ( a feel-good neurotransmitter) is stimulated and ‘lights up’ your brain in a similar way that drugs do, making you to begin to crave for the foods and want to have it again and again. Studies have shown that when you eat a diet high in processed foods, your body finds it harder to burn fewer calories. This is because the calories gotten from processed foods are not easy to burn due to all the chemical additives, extra refined sugar and salt that they contain. Aside their calories being hard to burn, the majority of calories in foods come from processed foods. This really isn’t so hard to believe considering all the chemical additives, extra refined sugar, sweeteners and salt that most of these processed foods contain. Additionally, because food companies want these processed foods to have a long shelf life, they ensure that the nutrients and the fiber in the foods are reduced. In other words, they more or less ‘dumb down’ the ingredients to increase the shelf life of the food and make it take less time and energy to digest when eaten. As a result, you are more prone to eat more calories in a shorter amount of time. We are all aware that too much sodium intake can potentially harm the body, especially for adults. Unfortunately, most processed foods don’t help in this respect because they contain a high amount of sodium. 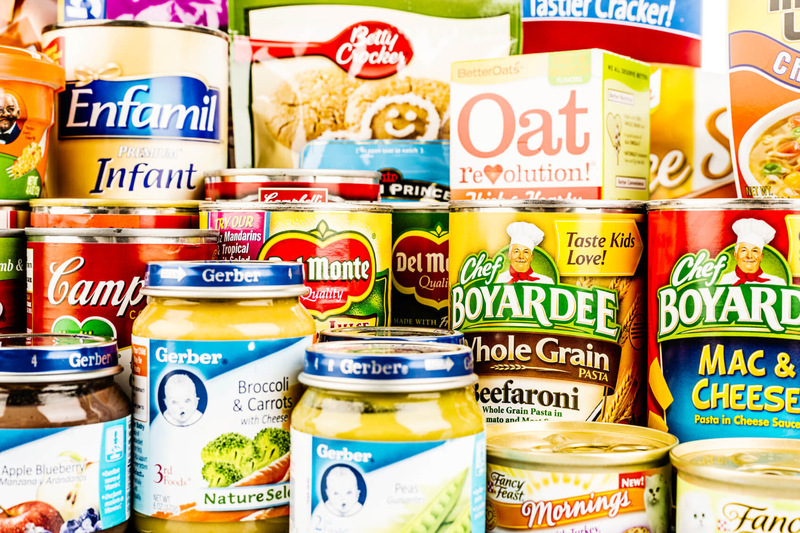 Simply take a look at the nutrition label on some processed, packaged foods and you’ll see that many times a can or serving can contains 25% to 40% higher than the daily recommended intake of sodium, and sometimes even more than that.